I’m getting back into a groove, and it feels good. The grills are hot, and I’m trying to push myself into new areas both on the grates and behind the lens. As with everything, it’s a work in progress. Perhaps by the time I’m picking out a gravestone, I’ll have it all figured out. Then again, who am I kidding, no I won’t. Here are a few things I’ve cooked up. I’ve never grilled lamb shanks, which is surprising to me, as I love lamb. 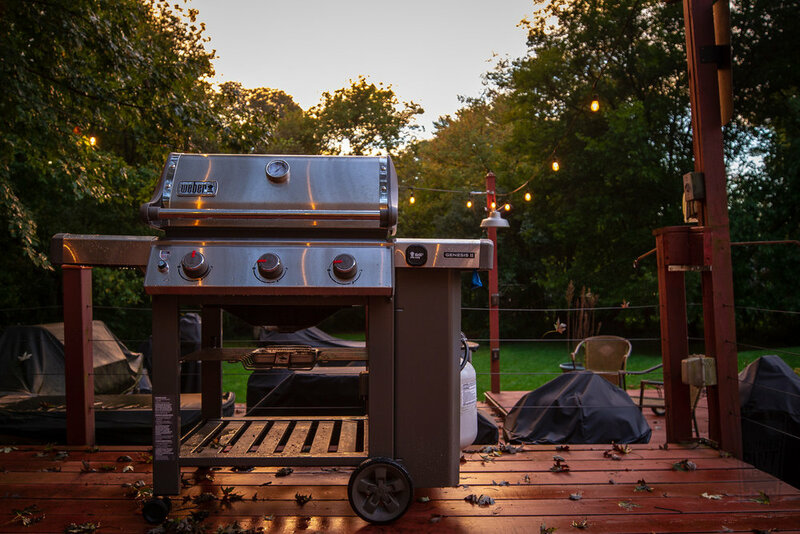 Using the template of a recipe by Stephen Raichlen out of the revered Barbecue Bible, the shanks were first smoked and then steamed in foil with a mixture of sesame oil and Chinese five spice powder. The shanks I picked up were not as meaty as I expected, so portioning was a lesson learned the hard way. Regardless, the texture and flavor of the meat were superb. I’ll be making these again. Looking for a different flavor to punctuate a grilled ribeye? Try a gentle squeeze from a grilled orange. Not only do they look beautiful on the grill, but the mellowed sweetness also gives an extra pop to every bite. And of course, on the perennial grill menu, who doesn’t love a cheeseburger and grilled fries? 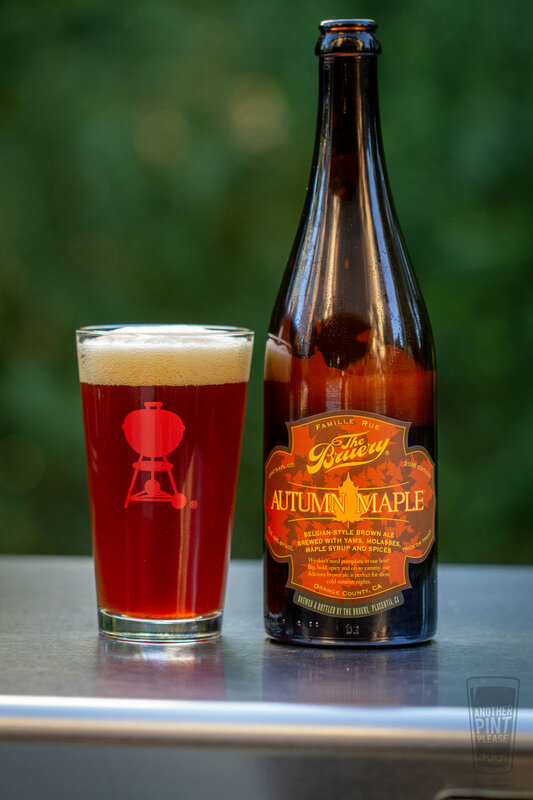 On the beer side, I picked up a bottle of The Bruery’s Autumn Maple, which took me back seven years to when Eric and I tried to clone their recipe with 10 pounds of grilled pumpkins. I believe it was mostly a miss. Even so, it was always just as much fun to brew, as it was to consume what we made. Something that never misses is Samuel Adams Beers of Fall Variety Pack. This is easily one of my favorite times of year for beer and especially one of my favorite times of year for photographing it. Octoberfest is always a favorite, but I really enjoyed the return of Dunkelweizen. However, what I really need to seek out is Fat Jack. Cheers, and enjoy your Wednesday! Note: My friends at Samuel Adams provided me with the beer samples, and I am a stockholder in the Boston Beer Company. Yes, I put my money where my beer is.